A 2017 scientific study has shown that exposure to herbs and essential oils like lavender and chamomile can help to relax anxious dogs. Like with us humans, the fragrances have a calming effect, and this works better the longer dogs can smell the oil. 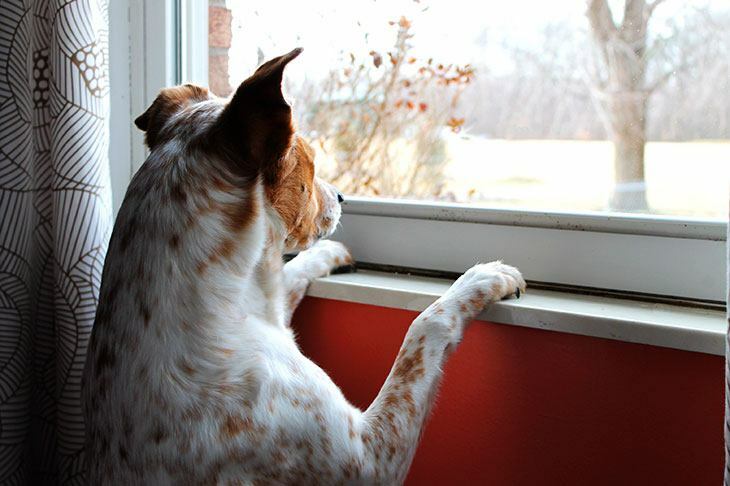 Dogs can struggle with anxiety in many different ways and for a variety of reasons. They might be scared of specific situations like with separation anxiety or can be generally nervous. In these situations, a fearful dog can lick compulsively, tremble, pant and whine. Tension can cause them much distress and affects their behavior. So, let’s cut your doggo a break by looking at how you can use essentials oils for dog’s anxiety. To reduce your dog’s anxiety with essential oil, we will look at how you can make a spray from diluted oil. The oils are too strong too directly apply to your dog’s skin or fur. That is why it is necessary to dilute it and to find alternative methods of applications. High-quality chamomile and lavender essential oil. These two oils have a calming effect on dogs. If you cannot or do not want to use these you can get bergamot, valerian or orange essential oil will also work. However, chamomile and lavender give the best results. Remember that not all essential oils are safe for dogs. A dark colored or amber bottle to store the mixture in. A glass mixing bowl and a narrow funnel. 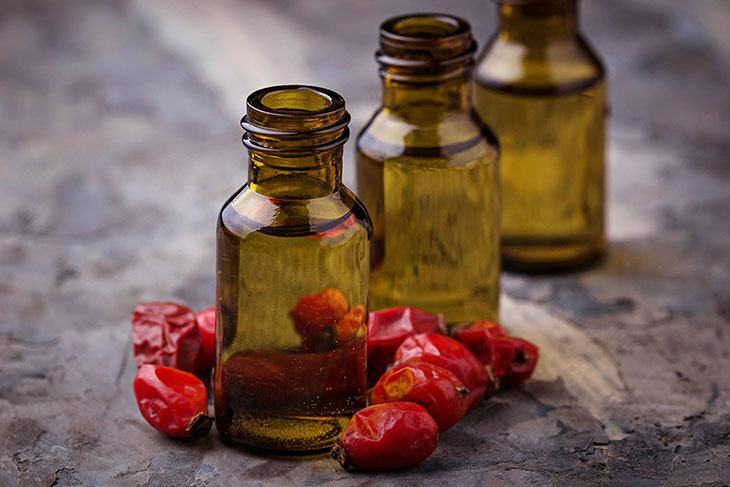 A carrier oil to mix with the essential oil. Good options are jojoba oil or sweet almond oil. A dropper, syringe or even a cotton pad to apply the oil mixture with. You could also dilute the oil with water to make an essential oil spray, but most dogs don’t like being sprayed. Another method that can be used to treat dogs anxiety for essential oils is to put the oil into diffusers. However, most essential oils are toxic to cats, so if there are cats in your home, avoid this. That is why I recommend applying the oil in a more targeted way. 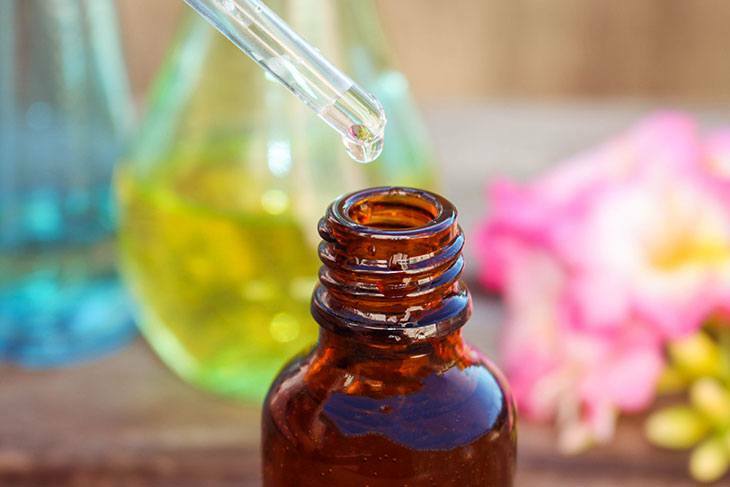 Essential oils can be very dangerous for dogs and other pets if it’s not diluted and builds up to too strong concentrations so do not let them ingest it. Except for the pure essential oil, you can buy most of these supplies in any department store. Luckily, making the mixture is as easy as finding the ingredients. It’s crucial to make sure that the essential oil that you buy is from a trusted manufacturer and is a high-quality oil. Make sure that it is a "100% pure" essential oil and that it doesn’t contain any harmful ingredients. In addition to this, pure essential oils should always be stored and sold in dark bottles that protect it from exposure to sunlight. As we have said the most effective oils are lavender and chamomile. Before you make the oil blend test your dog’s reaction to the oils. Put some oil on a cotton swab and let your dog smell it. You will quickly see if your dog dislikes the smell. They will jump back or even pull a face when you bring the oil close to them. In that case, choose the oil that they don’t react negatively to, to use. You can find the best essential oils dogs anxiety here. 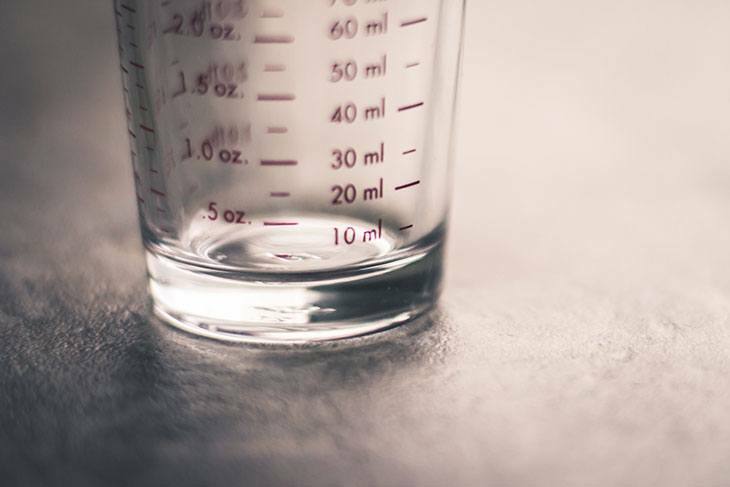 It is crucial to correctly dilute the essential to prevent it from harming your dog. That’s why the ingredients should be carefully measured. To make a safe oil blend, you need to take four oz. of the carrier oil which would be jojoba or sweet almond oil. 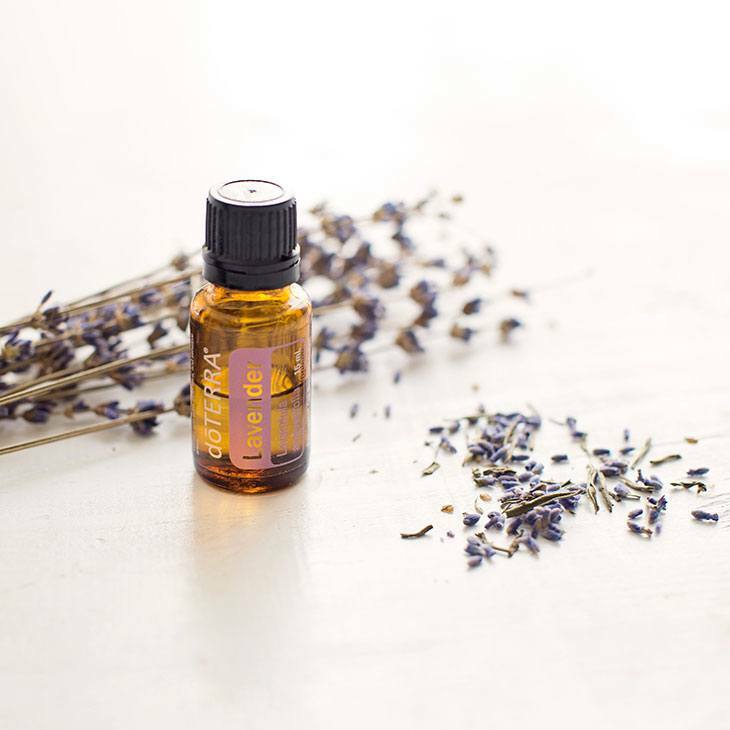 Most of the times essential oil comes in bottles with droppers or a funnel that will help you to measure out drops. For the blend, you should measure out five to ten drops of chamomile essential oil as well as five to ten drops of lavender essential oil. If your furry friend dislikes either of the oil, leave that one out and instead add only ten to twenty drops of the other essential oil. 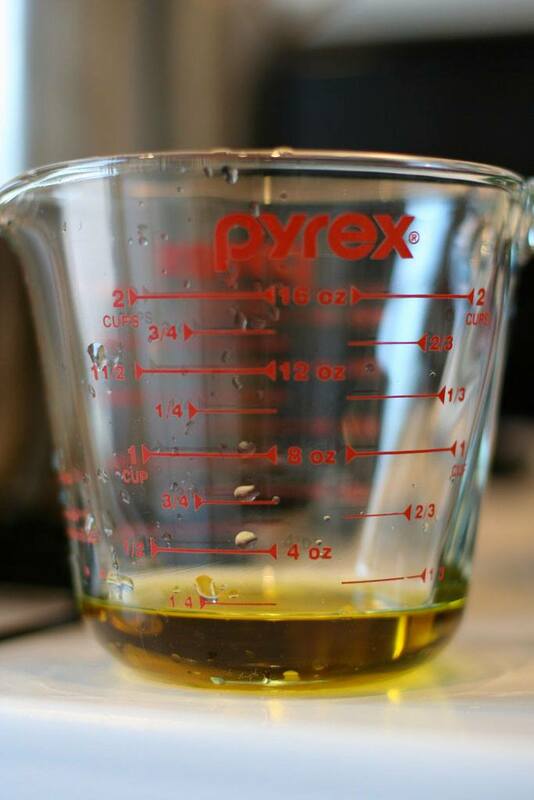 For the next step, you should pour the carrier oil into a clean bowl or a glass measuring beaker. Then the essential oils should be added to this. To make the oil as effective and as safe as possible, you should make sure that the oils are sufficiently combined. That’s the reason why they should be poured into a separate bowl first. Gently mix the oils with a metal spoon. Do this until the oils are blended, and the different liquids can’t be identified and don’t appear to be separated anymore. Once the mixture is combined correctly, you should store it safely as quickly as possible before the oil interacts with the light. It's essential that the bottle you choose to store the oil in is clean and doesn’t have any lingering scents. Remember that the container should be dark or amber colored. Pour the blend into the glass bottle with a funnel. As easy as that your homemade calming aromatherapy blend for your dog is ready to be used! Once all these steps are completed, it’s time to apply the oil. To make sure that you help to reduce your pet’s anxiety you should pay careful attention to their behavior and emotional state to figure out when they are the most anxious. If something specific triggers your dog’s anxiety, try to apply the oil at least half an hour before they’re exposed to this stimulus or situation. If the dog is always tense, you should use the oil once or twice a day. 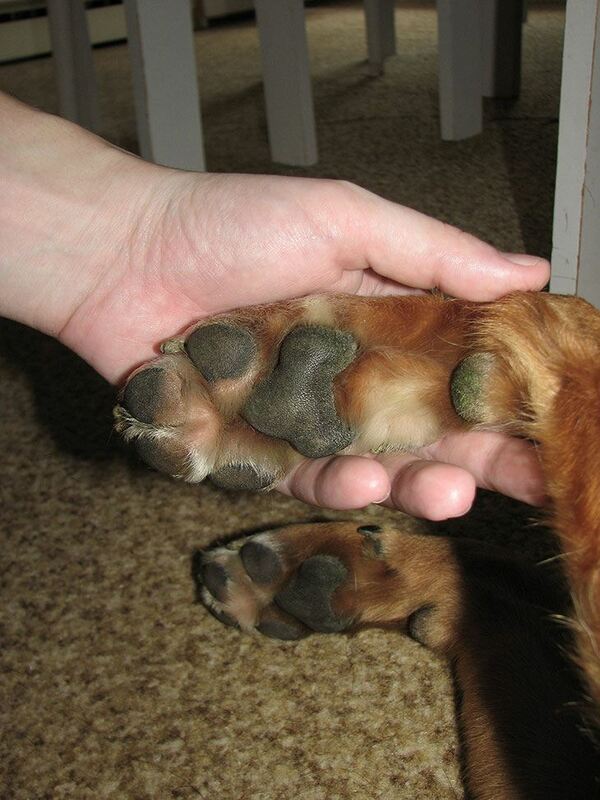 Try to put drops of the oil on your pets skin or fur in places where they won’t lick it. Dab or rub it on the back of their neck, between their toes, under their “armpits” or on the tips of their ears. You should apply the oil every time your dog becomes fearful. With some dogs, this will help to decrease their overall anxiety and behavior after a month or two. Otherwise, it might be necessary to continue this treatment for longer. The fragrance of this oil will help your dog to stay calm and relaxed. So, did you enjoy this how-to guide? Did you find it informative, and helpful? I hope so! If the oil is high quality and is diluted correctly, the blend will be safe to use. But it never hurts to be cautious. So keep your eyes open for any signs that your dog is possibly having a bad reaction and consider consulting a vet before treatment. You hate to feel anxious, so how do you think your poor nervous pup feels? 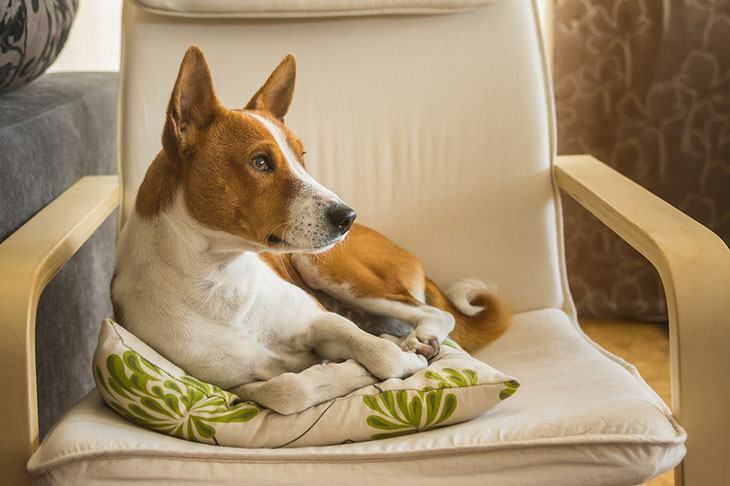 Like me, you will probably want to do everything you can to keep your dog happy. You will never look back once you see your dogs relief when they don’t feel stressed all the time. 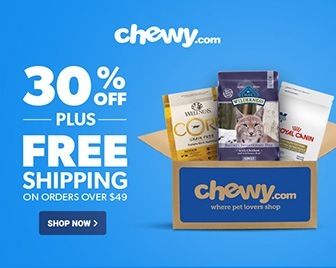 As a bonus, your fur baby will also smell good! Tell us in the comments if you have tried essential oils for dogs anxiety on your pet and share if you think this guide can help your friend’s and their dogs.